Once you’ve zoomed through the physical fitness test, written examination, and the oral board interview usually there is a two headed monster waiting for you in the form of the polygraph test. The American Psychological association wrote a controversial article titled The Truth About Lie Detectors. APA concluded that there is very little scientific and psychological evidence that the polygraph tests can accurately uncover a liar. Honesty is something that we always desire in other people. We expect family and friends to be honest with us. It is a key characteristic of a spouse. If someone lies to us, we feel justified in being upset with them; depending on the importance of the lie, a relationship could be ended permanently. We value honesty in other people, and often see it as a necessity for efficient communication between people. As much as we value honesty in others, it is funny how we can justify and, in some cases, lie to ourselves about our own actions and past. Whether it is because we can “logically” justify our actions or just because we have repeated (or ignored) the event to the extent that we no longer remember it as it was, our expectations of honesty with ourselves is not always as high as our expectations for others. Personal Honesty. The candidate is forced to be honest with themselves regarding their past and history. They may lie to themselves, but the machine will catch their bodily reflex to the lie, even if the candidate will not admit it. Force Integrity. It only takes a few officers who decide to abuse their power for all of the police in a town to get a poor reputation. 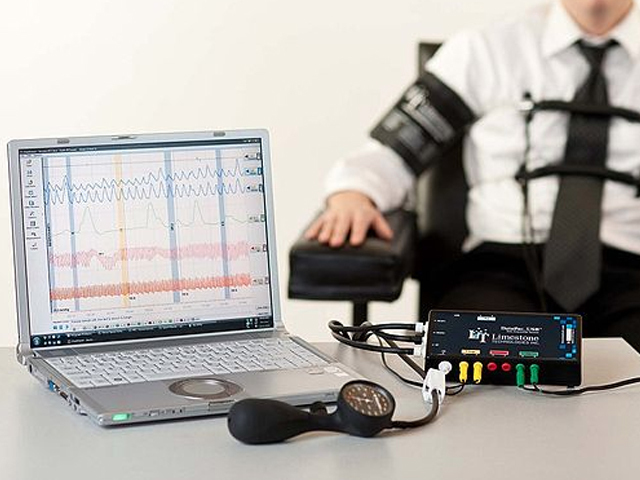 The polygraph test is one tool that a police force can use to identify and disqualify candidates who have a history of actions that could lead to them abusing their authority as a law enforcement officer. The whole perception of the lie detector test is somewhat ironic. There are very few people who would disagree with the idea that a police force needs to be filled with honest officers who can be trusted with the authority that is being given. It makes sense, as a matter of public safety, that the officers are trustworthy to not only uphold the law, but also to follow it. This is common sense. However, the polygraph test is seen as a biological witch-hunt. There is complaints about the fact that polygraphs aren’t even accurate. It is questioned whether they should be used to identify or disqualify candidates when it doesn’t offer “legally admissible evidence” according to the court. The National Academy of Science conducted a study on the polygraph exam and it’s ability to detect a lie. The findings suggested that there isn’t any scientific proof that the polygraph can detect a lie, and it is scientifically unreliable,and weak. There are a multitude of websites that offer ways to get around the test – if a simple web search will teach you how to beat the test, what is the point of using it? There are complaints about the fact that the common questions are asked in a confusing manner, or that certain topics are repeated over and over. With all of these apparent problems and flaws in the equipment, is it justified for law enforcement agencies like that of the Metropolitan Police Department District of Columbia to disqualify candidates based on a poor showing? The simple answer is “Yes.” Agencies like the NYPD and Chicago Police Department can do whatever they want, and neither me or anyone else who disagree can do anything about it. The point of the test is that it identifies potential problems based on the reactions of the candidates. It is not to say that you are guilty or innocent of a crime. It doesn’t even mean that you are actually lying – the expert is not out to prove that you are being dishonest. Rather, they are looking to see how you react to the accusations when your honesty is being questioned. They are trying to find out if you are hiding anything (or even believe that you need to hide anything), because an officer who has something to hide has two possible weaknesses: a weakness of character, meaning that they could potentially abuse their power, or a weakness of influence, meaning that they could give in to pressure from an outsider to abuse their power. Both of these weaknesses are inexcusable in law enforcement. So, if the lie detector test is being used to find out if you’re hiding something, how do you prepare for it? Well, the easiest preparation is also the most blatant – be honest in your personal integrity questionnaire (also known as the pre-polygraph interview). If you don’t know what a personal integrity questionnaire looks like, you can review one here courtesy of the Albuquerque Police Department. Agencies aren’t looking for a perfect citizen, but rather a citizen who is currently upstanding. Admitting your flaws, dabblings, and experimentation that are no longer taking place is much better than hiding them and having them come out on your test, as your forthright manner with the information indicates you are more worthy of the trust being placed in you. Admittedly, there are some admissions that will get you disqualified immediately. However, those are usually major issues, and even if they are missed during the polygraph testing, they would still result in your removal from the force when they were discovered. Again though, for smaller matters, you have more chance of getting disqualified for hiding them and being caught than you do for admitting them in the pre-interview segment. Ultimately, if you want to prepare, do the simple things. Identify your answers to the questions. Be confident that you are telling the truth. Honesty is key for law enforcement agencies like the LAPD. Think about it if the citizens of Los Angeles can’t trust the police to keep them safe, then who can they trust? The polygraph test is just one way we can assure the citizens that the officers protecting them are worthy of their trust. For more information regarding the polygraph test, and looking over sample questions, download pass the polygraph here.